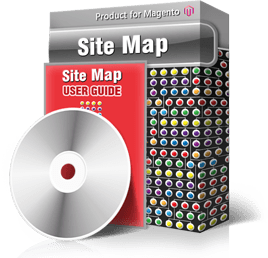 This small module provides ability to create and manage site map for your online stores. Settings allow selecting the look of the map - should categories, products, stores and CMS pages be displayed or not. Additional areas are for CMS pages to be excluded from the map as well as for custom links to be added there. Sorting settings let you select alphabetic order for site map’s elements or leave them unsorted.